It&apos;s always dicey messing with a classic, especially one as widely revered as the Bertram 54. 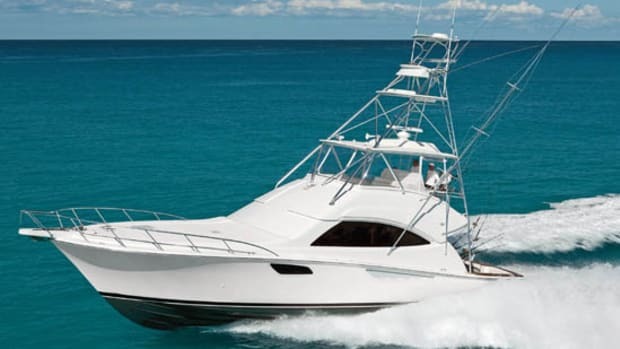 But Bertram&apos;s parent company, the Ferretti Group, is out to establish its own legend, by innovating and defying the norms. 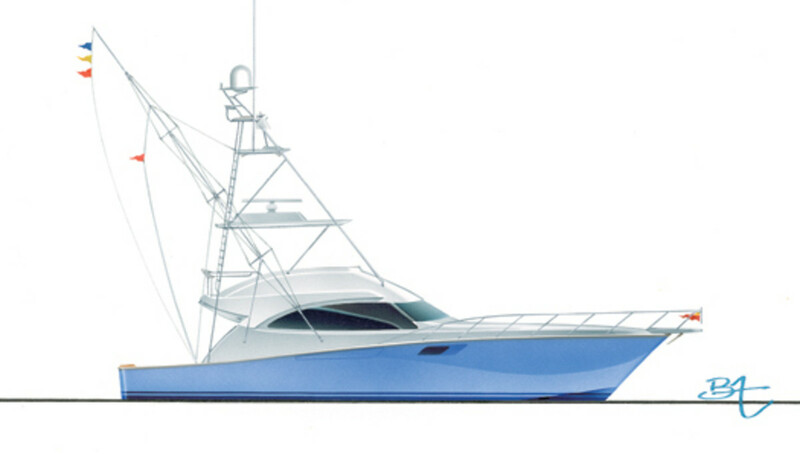 And so the classic 54 is being reborn as the Bertram 540. Make no mistake: This is no mere facelift, with a nip and tuck to update styling. The 540 is the result of a fundamental rethinking of what a convertible can be. 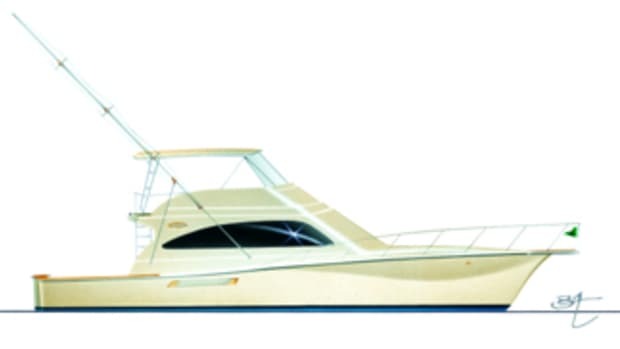 First off, rest assured that the new design faithfully maintains the key features that made the 54 so successful. 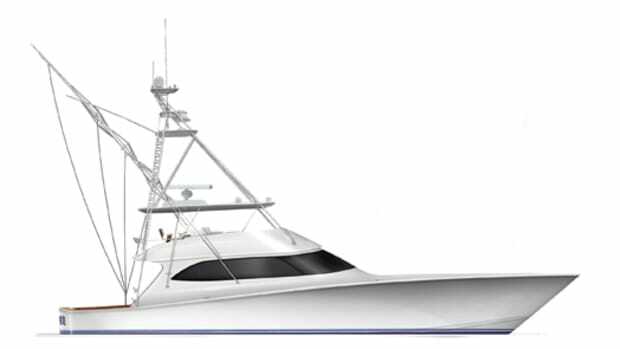 The fine bow sections, deep-V hull, and plenty of waterline length have all been carried forward. So the 540 should offer the same seakindly ride as her beloved predecessor. 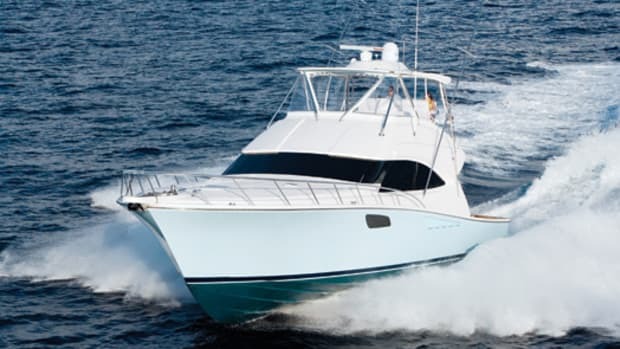 What&apos;s different are features to enhance comfort and cruise-ability, without compromising Bertram&apos;s fishability. 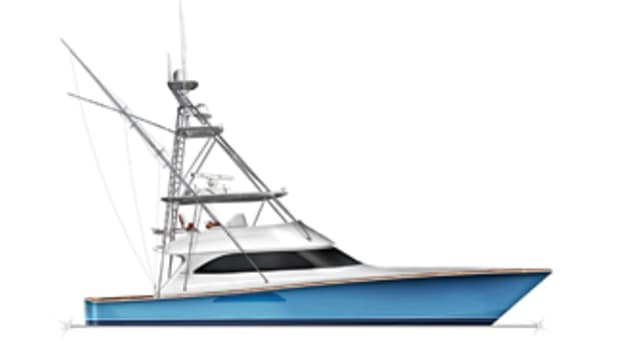 Certainly the most evident new feature is the wraparound window in the forward face of her deckhouse. 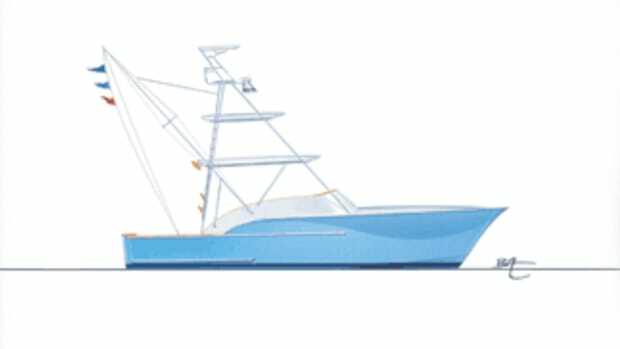 Almost all sportfishermen have no forward-facing windows, the "blank wall" typically used for galley cabinets and appliances or a TV. But Bertram designers have located the galley aft, closer to the cockpit, and even added a retractable window so snacks can be passed directly to the cockpit. Opposite the galley is a large LCD TV, angled to be viewable from either of the settees forward. 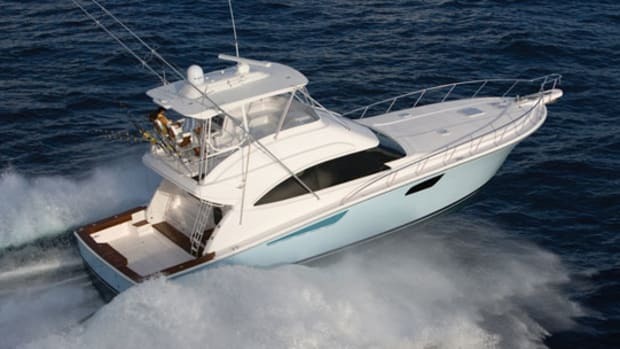 And, previously unheard of in sportfishermen, the Bertram 540 even offers an optional layout with a lower helm station in place of the port-side settee. Almost as novel, and first seen on the 700, are side windows in the lower deck that create an ambiance more like a yacht&apos;s in the owner&apos;s and guest cabins. Typical of the new generation of Bertrams, the 540 is built with a solid laminate of knitted, multidirectional fabrics in her bottom for toughness and impact resistance and cored composites in her hull sides and deckhouse to achieve strength and stiffness with minimum weight. 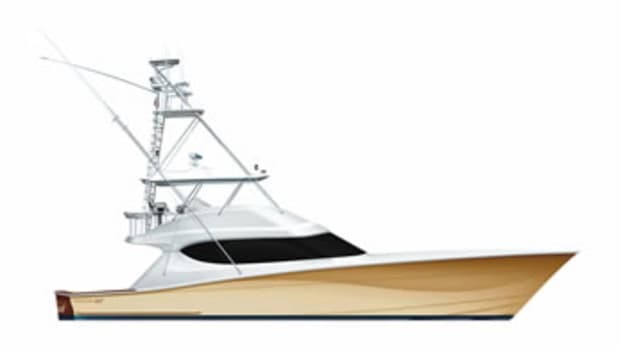 With optional 1,675-hp Caterpillar C32 diesels, the 540 is expected cruise at 35 knots and top around 39 knots. 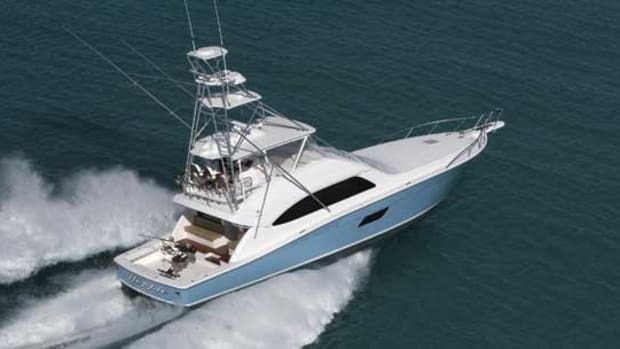 For more information on Bertram Yachts, including contact information, click here.